There are off-the-shelf solutions that may get the job done, and then there are custom engineered solutions designed specifically for the application. Whatever service you need, you’ll find it at Hartland Controls. We design and manufacture contactors, transformers, capacitors, relays, auxiliary switches and unique assemblies in our own state-of-the-art facility. Our in-house team of electrical and mechanical engineers and lab technicians brings ideas to fruition faster. Smart design for manufacturability. We design to meet electrical specifications and manufacturing requirements. This ensures an optimal product produced at the most competitive price. Product design and engineering is controlled out of our Rock Falls, Illinois headquarters. Other capabilities include manufacturing engineering functions to support light assembly services and our joint venture partners in Shanghai. 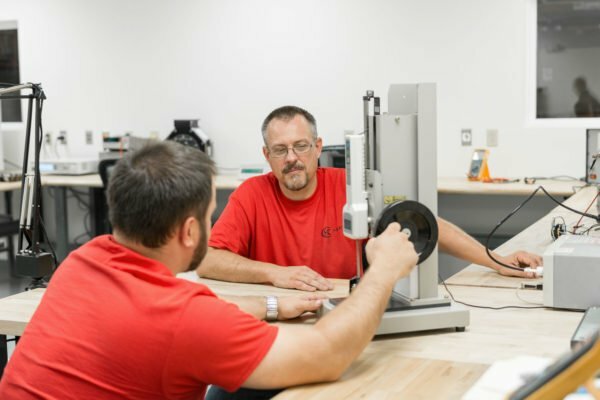 Our state-of-the-art lab capabilities enable mechanical life, electrical life, resistive heat, environmental chamber, infrared sensing, high-speed camera and a dedicated relay and capacitor testing. The Shanghai engineering team works in partnership with our Rock Falls team on product, process and manufacturing engineering projects. We work closely with approval agencies to streamline processes. The Hartland Controls engineering team has a strong core competency in working with agencies such as UL, CSA, SEMKO and other country-specific approval processes needed to support customers.